Isabella Williams is the Co-Editor-in-Chief of the Woodside Paw Print. This is her third year in high school taking journalism after spending her last year reconstructing the website as Online Editor. She will continue to write about social issues and relevant teen trends and culture, but this year plans to focus on bigger projects. 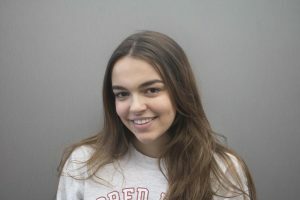 She would like to continue her work redesigning the website, while also writing more in-depth, multimedia, editorial-style stories on high school issues that Woodside students can relate with. Isabella hopes to continue developing the Paw Print's presence on campus and to make it a resource for students.